Waaaaaai, this is soooo cool! ...sorry, but I just couldn't help that. Just the image I was looking for to make a new wallpaper. Thanks for sharing! about the kira name, iduru is not wrong ^^ bcos zu and du is the same in japanese word. i have other official bleach merchandises frm japan, kira is often named as kira iduru instead of izuru :) for soi fong, it should be the same case as kira as well. Only excellent! Thanks for sharing! Love this pic ty for sharing it. I really enjoy the composition in this one...as a pair, the set works really well. 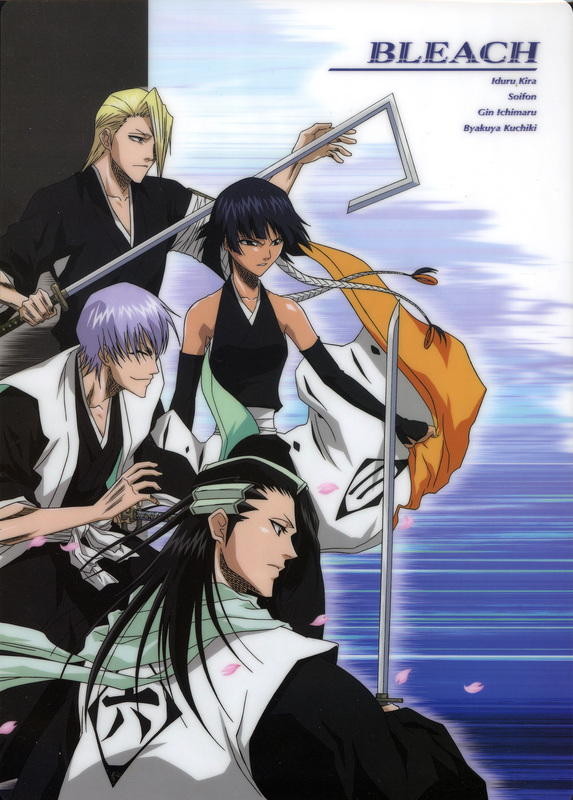 These guys, except Soifong, are my faves!